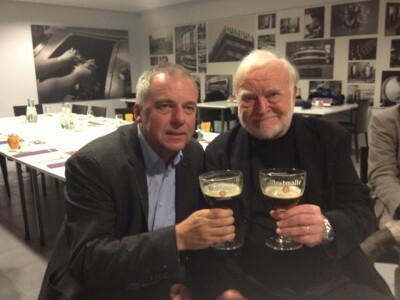 Leo Bormans is global Ambassador of Happiness & Quality of Life. He is a writer and an inspirator. He has a master in languages and philosophy and is the author of the international bestsellers “The World Book of Happiness” , “The World Book of Love” , “The World Book of Hope” etc. Leo Bormans has a master in Languages and Philosophy (University of Leuven, Belgium) and is Distinghuised Lecturer on Happiness Research at the Erasmus University in Rotterdam (The Netherlands). At the world summit Velo City (juni 2017), with 1500 participants of 80 countries, he was introduced as ‘one of the most inspiring contemporary speakers’. There he had a meeting with his majesty King Willem-Alexander of the Netherlands as well. “The World Book of Happiness” has been offered by European Chairman Herman Van Rompuy to all leaders of the world (including Barack Obama) as a special New Year’s gift in 2012. Kofi Annan received a copy while he addressed, together with Leo Bormans, the international youth conference Hope XXL, which has been inspired by the book. Kofi Annan has written the first chapter of The World Book of Hope as well. Leo Bormans is living in Belgium. He has been working for more than 20 years for the government on active citizenship, empowerment, communication, positive education and positive journalism. He has worked for Unesco and has been for several years a board member of the Foundation of her Royal Highness Princess Mathilde in Brussels. His initiatives on active citizenship and positive communication have inspired lots of organizations and policy-makers. He supports the international movement for Happiness and Quality of Life and is ambassador of different organizations in East and West (including Richard Layard’s Action for Happiness at the London School of Economics and the idea of Gross National Happiness of the government of Bhutan). He inspired the Belgian government to include indicators of well-being in the Annual Survey of the National Bank. He is a successful motivational speaker and advisor of governments, managers, universities, social workers, teachers, organizations etc. all over the world. He is giving workshops and lectures for small groups and broad audiences on Happiness and Quality of Life. He has organized different international conferences with the contribution of experts in the field of positive psychology, including Lord Richard Layard (UK), Dr. Robert Biswas-Diener (USA), Prof. Mihaly Csikszentmihalyi (USA) and Prof. Samuel Ho (China). 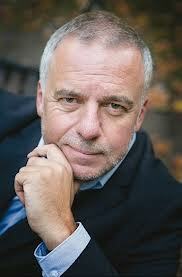 Leo Bormans has been invited from Malta and Canada to Mexico and Bangkok, from Slovenia, Dubai and Beirut to Moscow and Scandinavia, and is an appreciated keynote speaker at international conferences (including the World Conference Appreciative Inquiry and the European Congress of Positive Psychology). He pays special attention to happiness and well-being of all humans, not only “the happy few”. That’s why he is involved in specialized workshops for specific groups (prisoners, refugees, drug addicts, students, teacher training, young people in problems, older people, mental health etc.). He organizes happiness interventions on broad scales (e.g. in cooperation with health care organizations and managers). Together with the University of Louvain he carried out a huge research on the impact of positive interventions in a sample of 10.000 Belgians. On the first “International Happiness Day” (March 20, 2013) he organized a huge event in Brussels in cooperation with the United Nations and the Embassy of Bhutan. More than 500 people (among them 14 ambassadors of different countries) took part in this highly appreciated event. Recently he got a lot of media-attention in Belgium and the Netherlands because he succeeded to make two popular tv-talkshows completely silent during two full minutes. To prove the impact of silence as “quality attention”. In 2015 “The World Book of Hope” has been launched with an international conference on Hope in Bern (Switzerland) and Brussels (Belgium). The full government of Belgium has received a copy of the book after the terrorist attacks in Brussels. In this volume 100 experts of hope share their knowledge on this universal topic. The project ‘Happiness for Children’ includes three children books (Happiness for Children). The first one is based on the ten pillars of happiness, the second one on the ten pillars of friendship and the last one on the ten pillars of hope. Thousands of children use these books at home or at school. Translations are available in French, German and Dutch. A box with an inspiring game, based on the pillars of happiness, is also available (in Dutch). Leo Bormans is also Ambassador for Trias, a Belgian non-government organisation helping people in the South. The books of Leo Bormans have been translated in English, French, German, Dutch, Spanish, Slovenian, Korean, Japanese, Chinese, Russian etc. and are available via the traditional bookshops (also online). Together with Prof. Mihaly Csikszentmihalyi (FLOW), drinking a Belgian beer in the old abbey where his father had become a librarian, being a Hongarian refugee in the fifties. Leo Bormans organized this quest for his father’s grave.